Begin your dream day with special VIP access to a once-in a lifetime Ferrari tour experience reserved only for professional Formula 1 drivers! 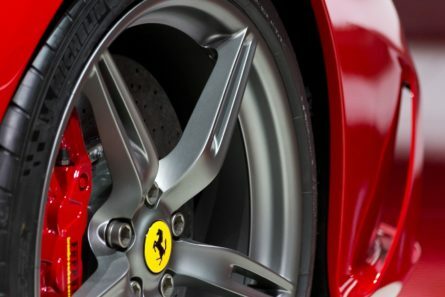 Upon arrival in Maranello you will be greeted by a professional guide for a fantastic private tour of Fiorano factory (outside view) and Gallery with private vehicle. You will then experience driving sessions on a professional track with a Ferrari 430 Challenge and other Ferrari models (459 Italia spider of Lamborghini) supported by a professional instructor. As part of the Ferrari tour, you will have the track at your complete disposal and you can decide how many laps you want to make. Break the day with a typical regional lunch with salami, parmigiano, balsamic vinegar and cured meats before enjoying a private tour of the Gallery Museum with a dedicated professional guide. Children can enjoy an exclusive opportunity to drive a simulator designed to recreate the thrill of driving in a Formula 1 circuit. This experience works as a day trip from Florence or as a stop en route to Venice.